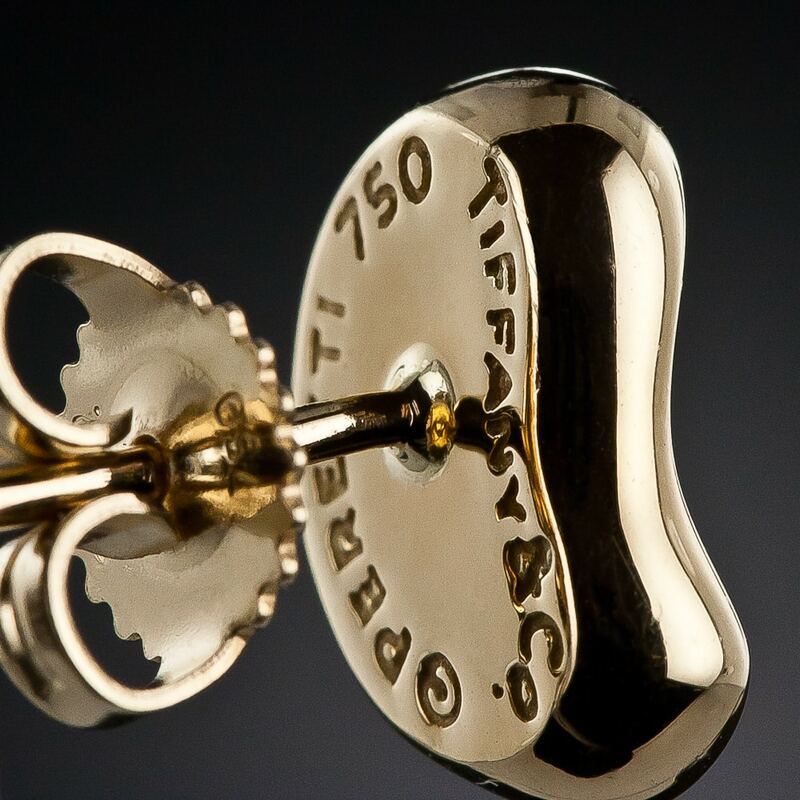 Portuguese Hallmark with Deer and .800 Gold Fineness. 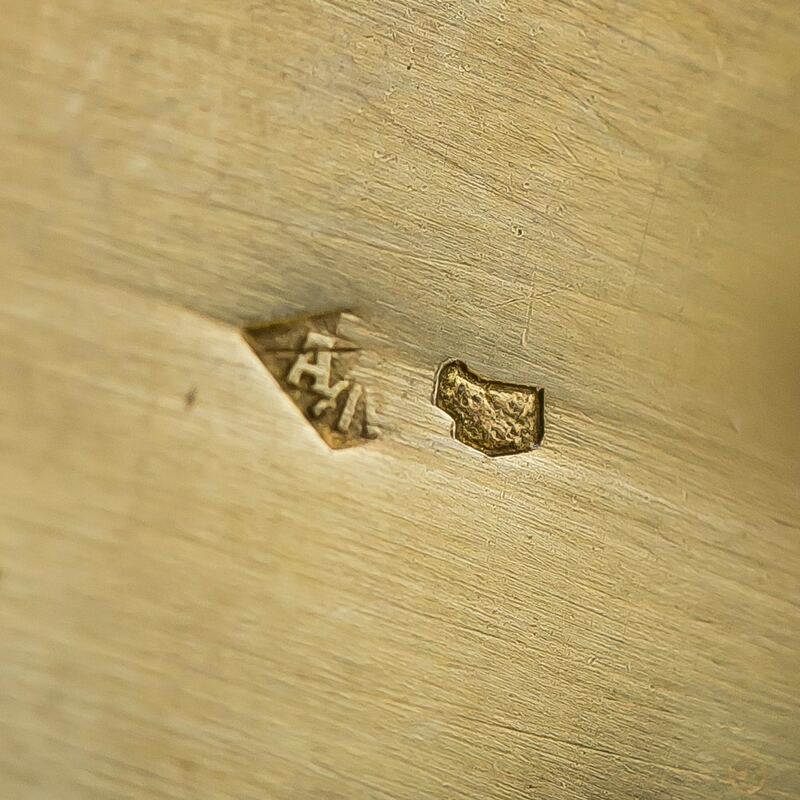 This Mark has been Stamped at the Porto Assay Office Since 1985. 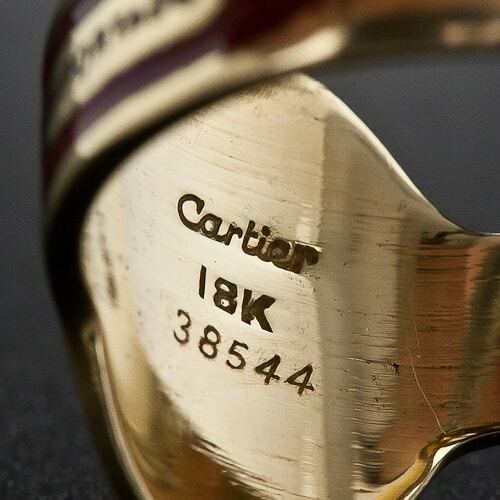 Solving the intriguing riddle posed by the marks stamped onto a piece of jewelry involves the use of a variety of skills and a wealth of knowledge. 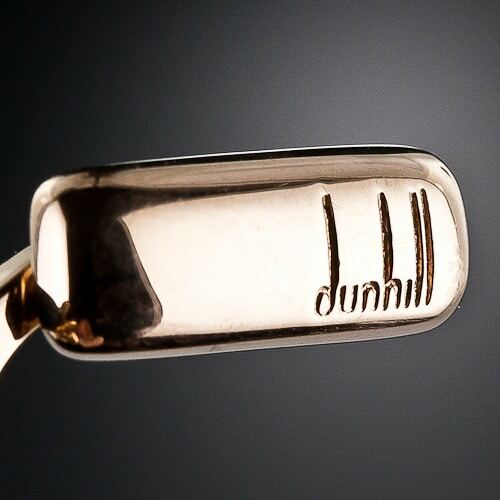 At its most basic, we can usually easily identify the type of jewelry i.e. ring, necklace, bracelet, etc. without any specialized knowledge. However, labeling a piece as having originated during a particular era requires an understanding of the style, design attributes, materials available, gemstones and their cutting techniques, manufacturing techniques and a basic knowledge of world politics, events and influences during the time in question. 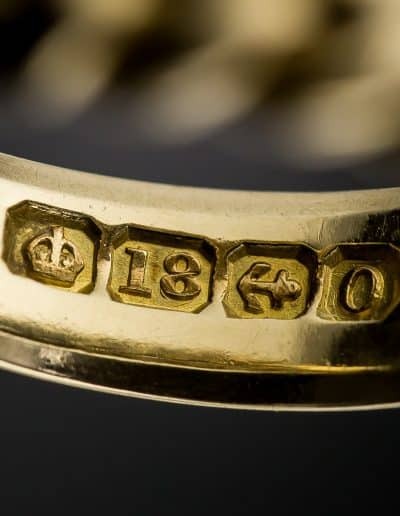 To take the investigation to the final step of identifying the maker, the country of origin and the circa date of manufacturing requires a more specialized type of jewelry detective work involving all of the aforementioned skills, access to a wealth of research materials and a touch of tenacity. 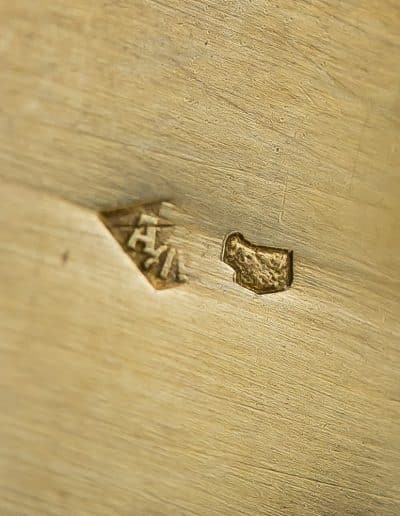 Spending a little extra time at the outset, getting to know as much as possible about the piece, before beginning to research for hallmarks, maker’s marks and purity/assay marks will save time in the long run. Many of the hallmark and maker’s mark reference materials are organized by time period, some books covering only a particular jewelry era. 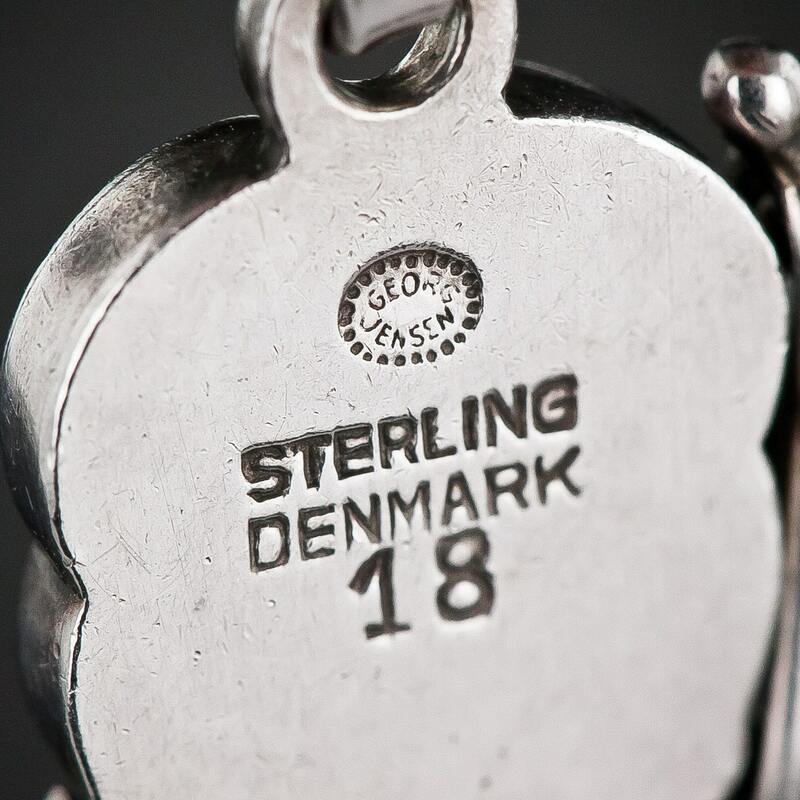 Books specifically listing hallmarks are usually organized by country and further by time period within the country. 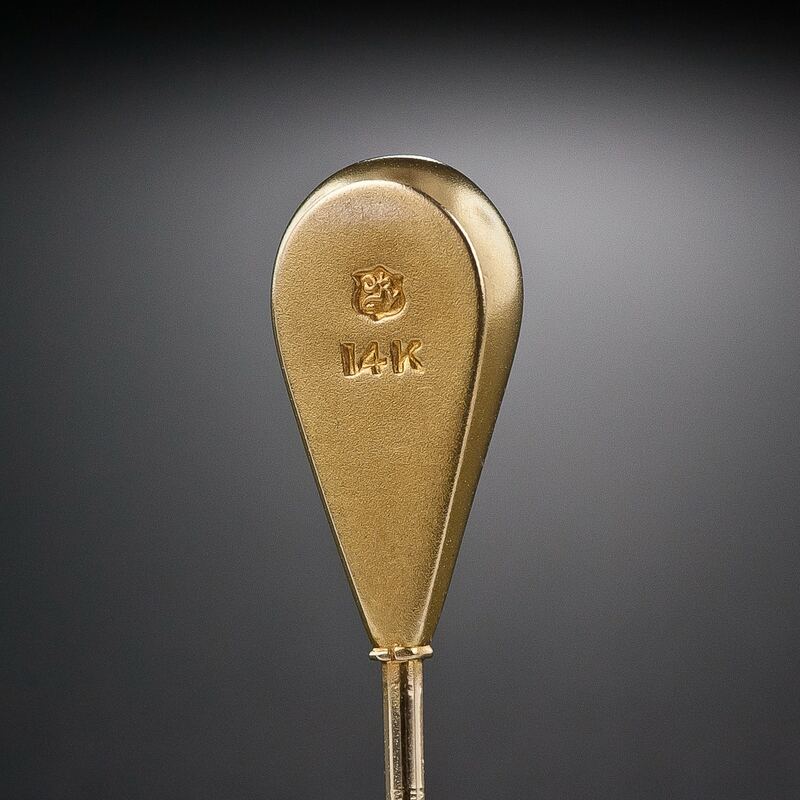 A maker’s mark on an Art Deco Brooch is unlikely to be found in a book on Victorian jewelry – unless the maker was in business over several design periods. Forearmed with the basic jewelry era parameters on the item under investigation helps to target further search efforts. Who made it and Where were they located? 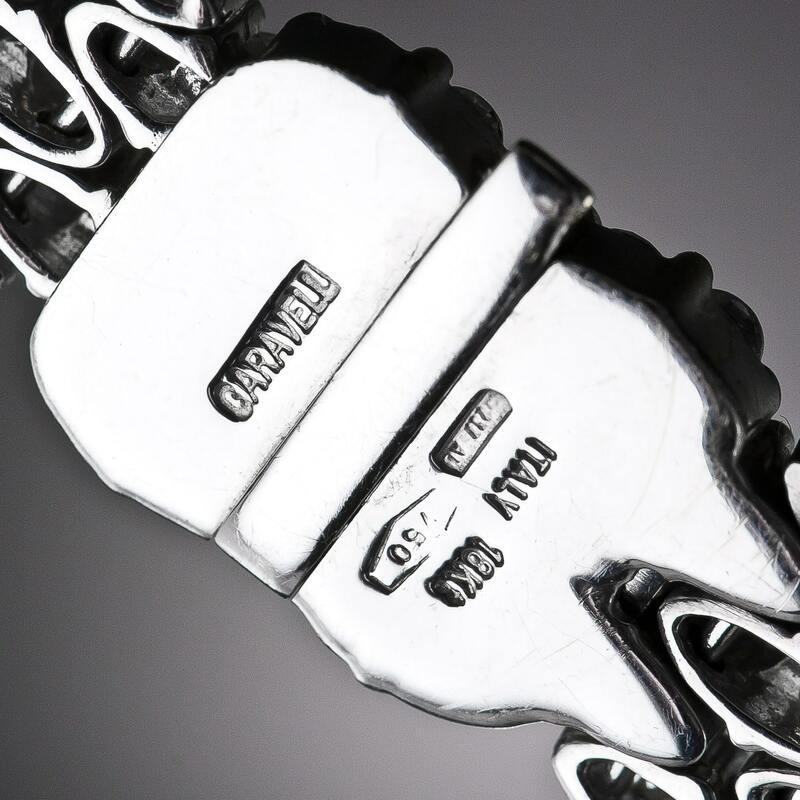 First and foremost it is important to classify the function of the jewelry item. Examining a ring, brooch, bracelet, necklace, etc. 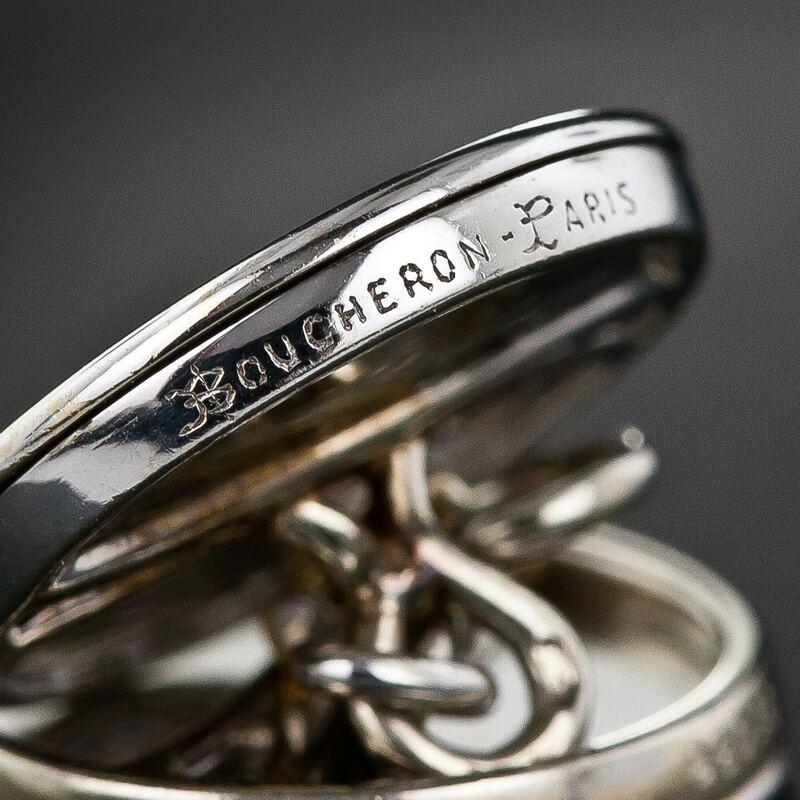 are essentially done in the same manner, but since some designers, manufacturers, and retailers specialized in certain types of jewelry it is important to acknowledge the item’s function. Checking to see if the piece has been fundamentally altered is also important. 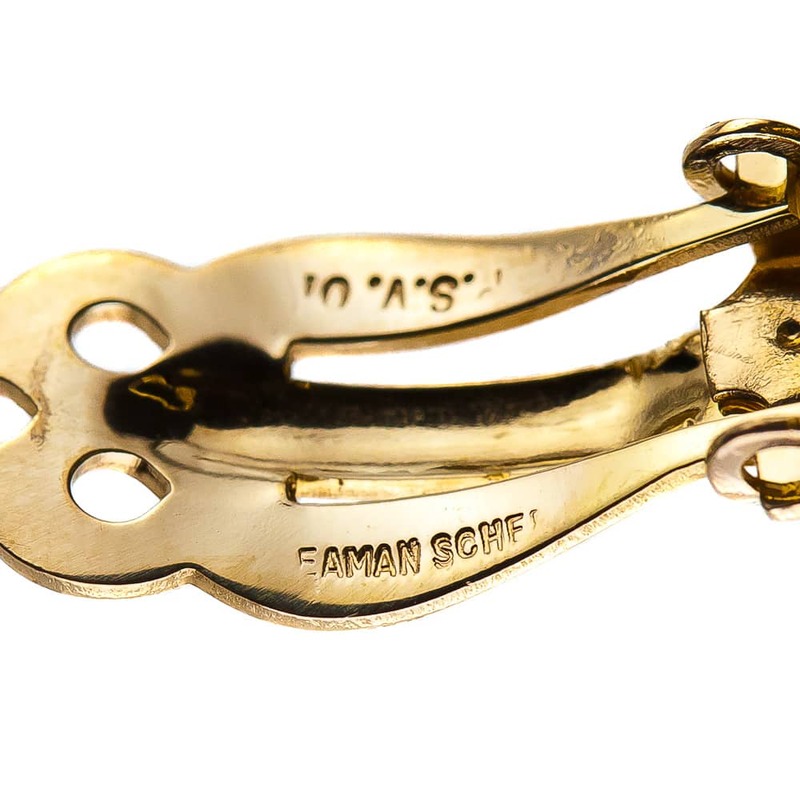 Basic repairs, such as resizings and pinstem replacements may be found, and while these don’t fundamentally change the purpose of the item, they may alter or remove important details. 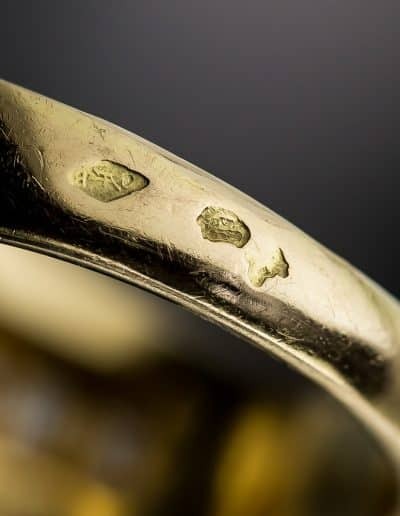 A resized ring or repaired pin mechanism may have had hallmarks, maker’s marks and/or purity/assay marks and the repair or change may have removed the marks. This may make it difficult to identify exactly who made the piece, but the item fundamentally remains a brooch or a ring. 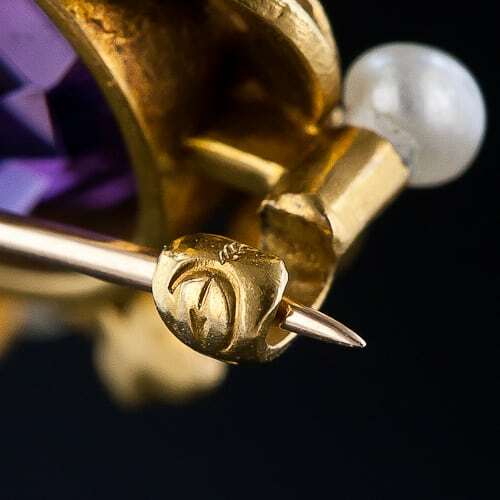 On the other hand, if the top portion of a ring has been removed from its shank and a pinstem placed on the reverse, the piece is now a pin and no longer a ring. 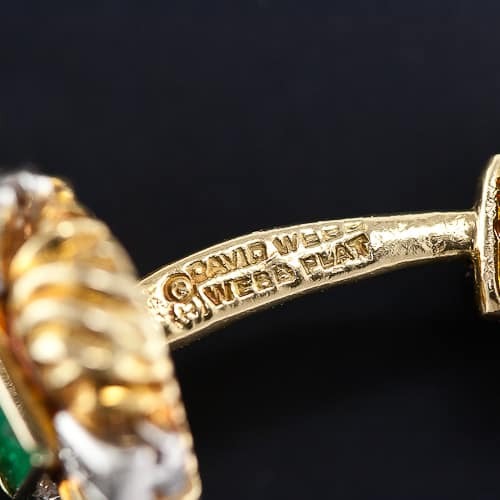 This is important to observe when researching the who, what, when and where of jewelry identification… is it a ring or a brooch? Sometimes the answer is not immediately apparent. It’s a Bird, It’s a Plane, It’s a Watch? Upon Closer Examination… It’s a Watch! 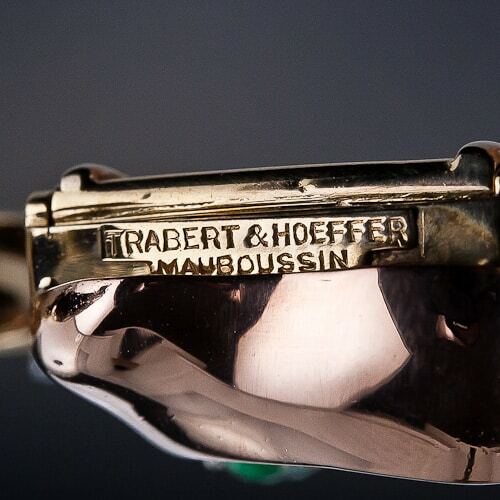 Secondly, while you may not be able to pin down an exact date of manufacture, by identifying the style of the piece the time period of the search can be narrowed down considerably. Observe whether the piece is Georgian, Victorian, Art Deco, Retro, etc. 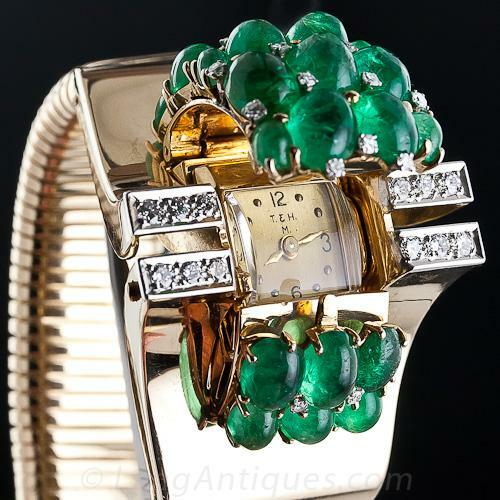 Using available reference materials such as jewelry history books and the internet or by consulting an expert appraiser, antique or estate jewelry dealer or auction house you can focus further investigations on a much narrower time period. What gemstones or other set-in items does it contain? Diamonds? Rubies? Jadeite? Glass? Classical Themed Micromosaic? Carved Hardstone Cameo? Geometric Design Elements? Free Flowing Lines? Industrial Shape and Styling? Sputnik-like Outline? Nicely à joured? Closed-back Gemstone Mountings? Mold Lines? Solder Globs? Marriage of more than one item? What other decorative or functional elements does it exhibit? Tassels? Black Enamel? Colored Enamel? Plique-à-jour enamel? Curb-Link Chain? ‘C’ Clasp? 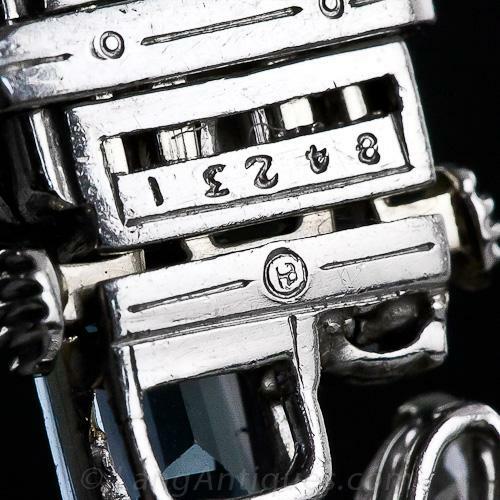 Trumpet Clasp? Ear Clip? Ear Post and Nut? Is it fine jewelry or costume? With a few exceptions, costume or fashion jewelry has its own set of research materials separate from those for fine jewelry. 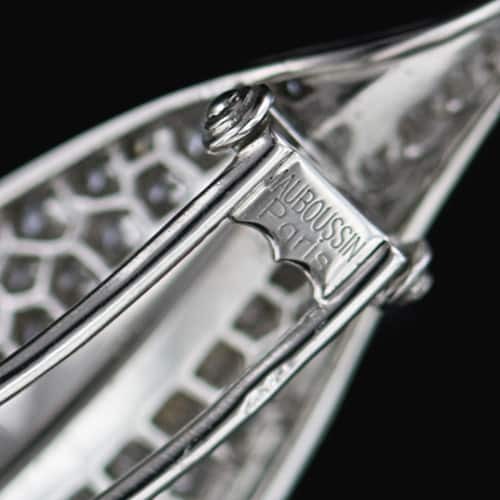 Use the Glossary here at Antique Jewelry University to explore all things jewelry – from A to Z. 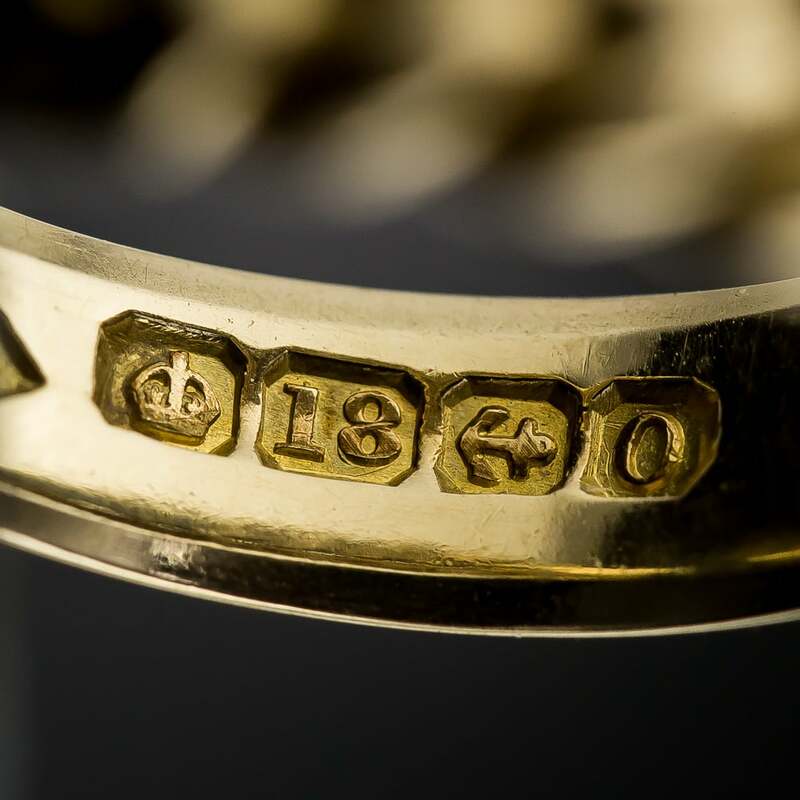 Interested in knowing more about jewelry time periods? 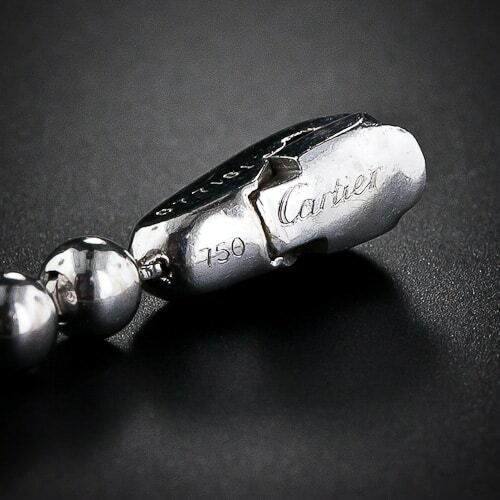 Jewelry Eras is for you. Trying to figure out what your jewelry item is or what type of earring, bracelet or necklace you have? Jewelry Evolution has the answers. Do you have gemstones that need identifying? 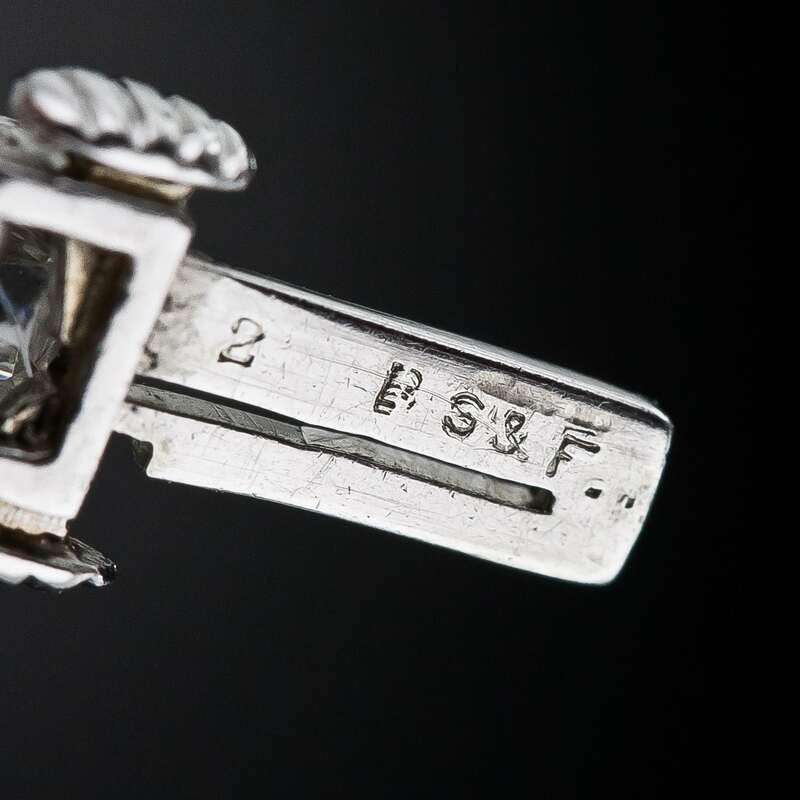 You’ll find answers in Gemology. 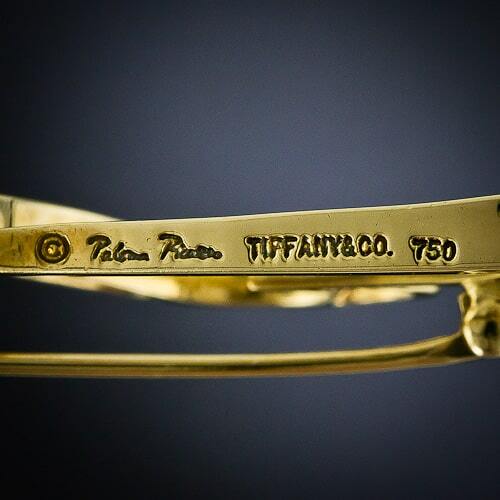 Those tiny little marks found on jewelry can carry a wealth of knowledge, but first, they must be found. 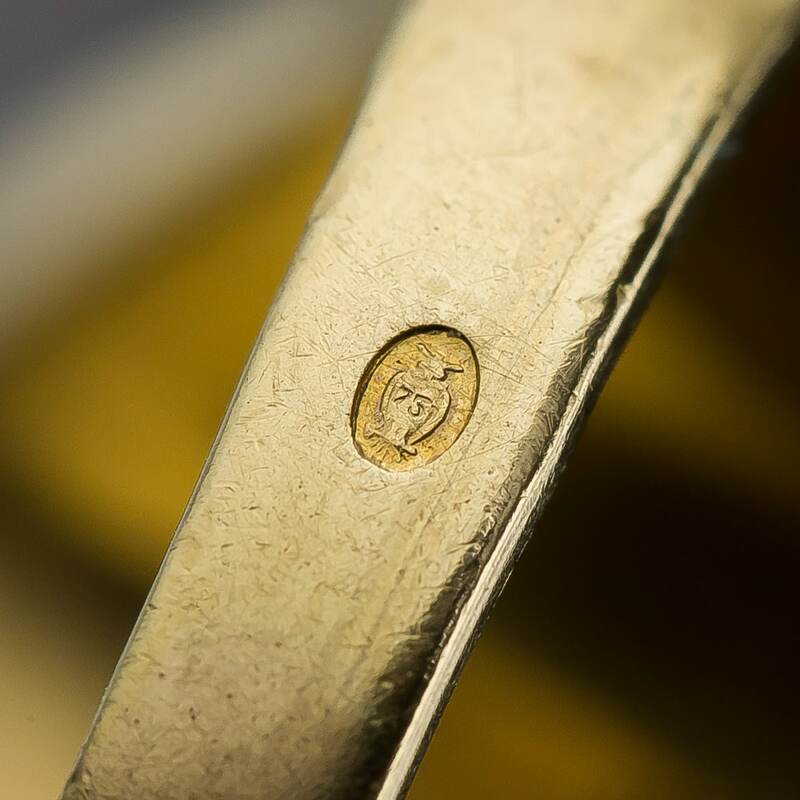 A good jeweler’s loupe (10x magnification at minimum) or a microscope and good lighting are essential in finding these hidden treasures. 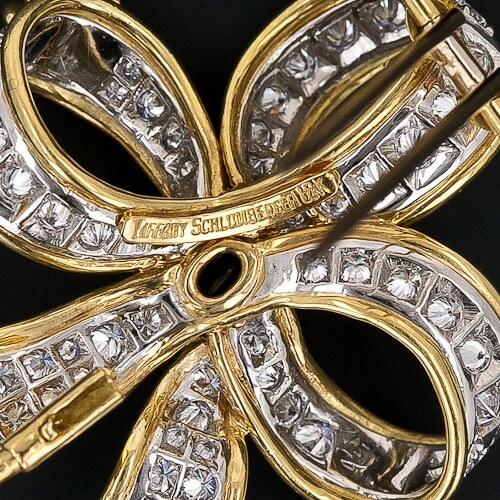 Every part of the item needs to be examined with special attention to the backside, edges, and findings (clasps, pinstems, earring posts, etc.) 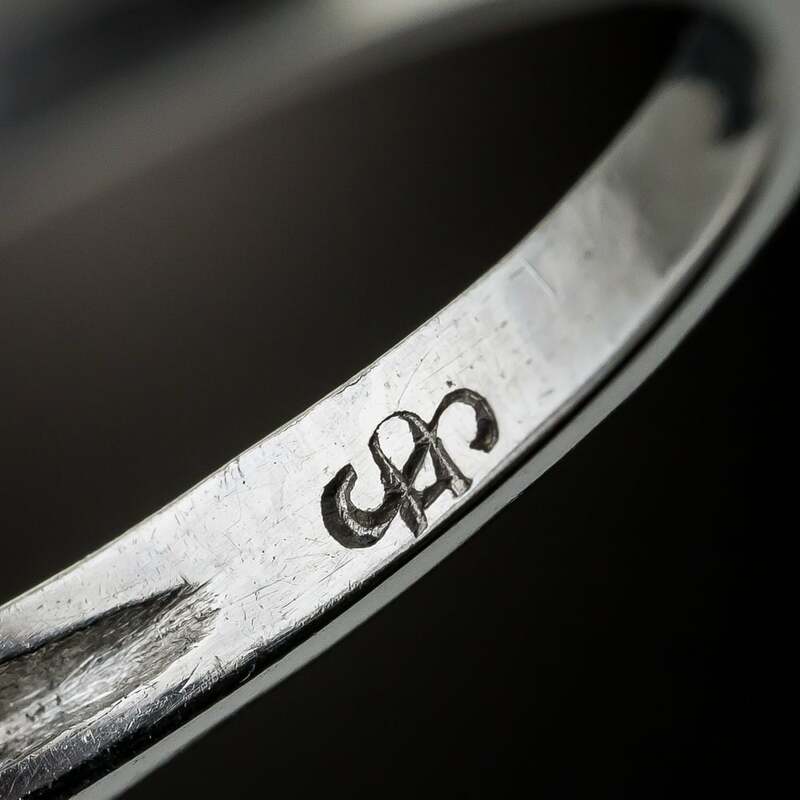 It is important to remember that these marks may only be partially visible due to a poor stamping or subsequent polishing and repairs. Examine thoroughly, going over the whole piece more than once, turning it to examine every nook and cranny. When working from a photograph, the image must be of good quality and size and the other details about the piece (including a picture of the front of the item) are usually required. Finally, who made the piece and where are often the most frustrating questions to be answered. 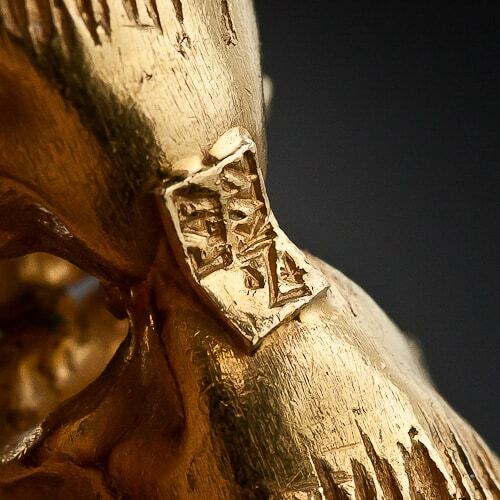 Once marks have been located and the piece has been established to be fine jewelry (not costume,) and the questions of what and when have been answered, reference materials can be targeted for researching the marks. 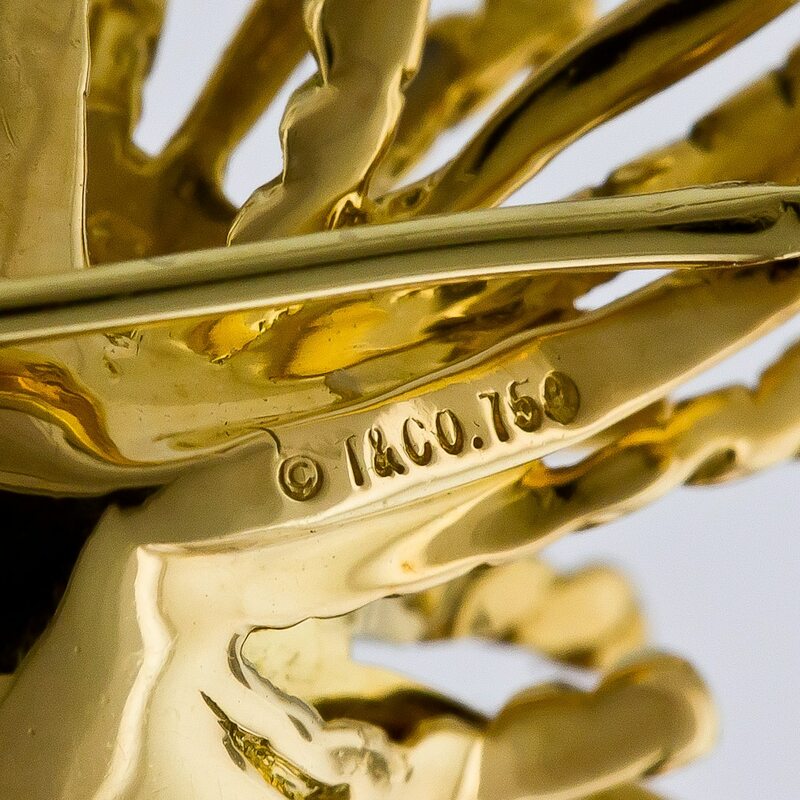 A single hallmark can encompass a great deal of information including the fineness of the metal, the country of origin, time frame of manufacture, relative weight of the piece, the city where it was assayed and whether it was exported or imported. 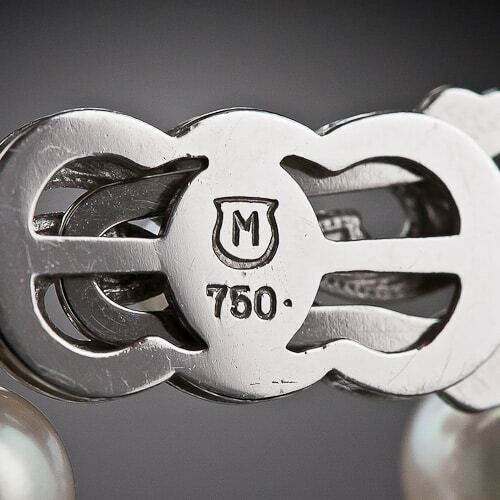 Maker’s Mark is a separate mark, trademark or other symbol or name that indicates who is guaranteeing the assay of the piece. This is usually the manufacturer, designer or retailer of the item. All the details, regardless how small, must be observed and noted in order for a complete analysis to take place. 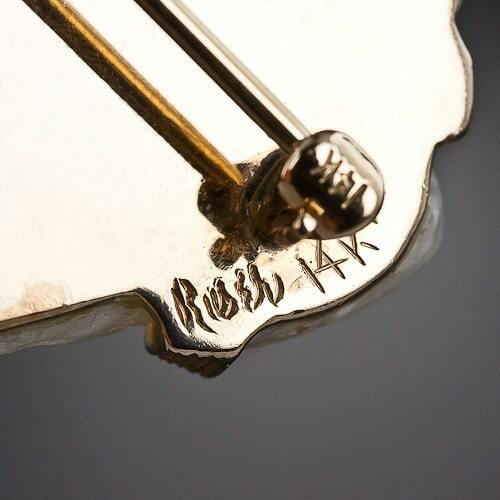 Hallmarks can be composed of pictures, letters, numbers and shapes, alone or in combination. 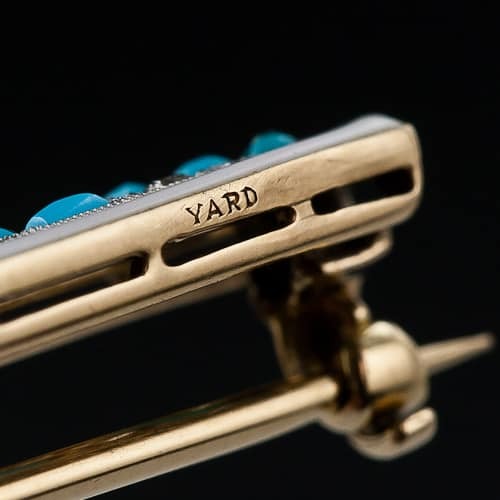 It is important to note the direction that the hallmark faces and its position relative to other hallmarks present on the piece. Is there a frame, shape or cartouche surrounding the image? 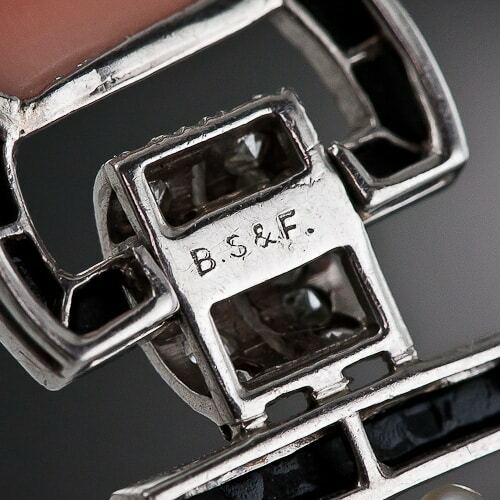 The presence or absence of this outline can provide information about the fineness, date stamped, weight, and assay office. 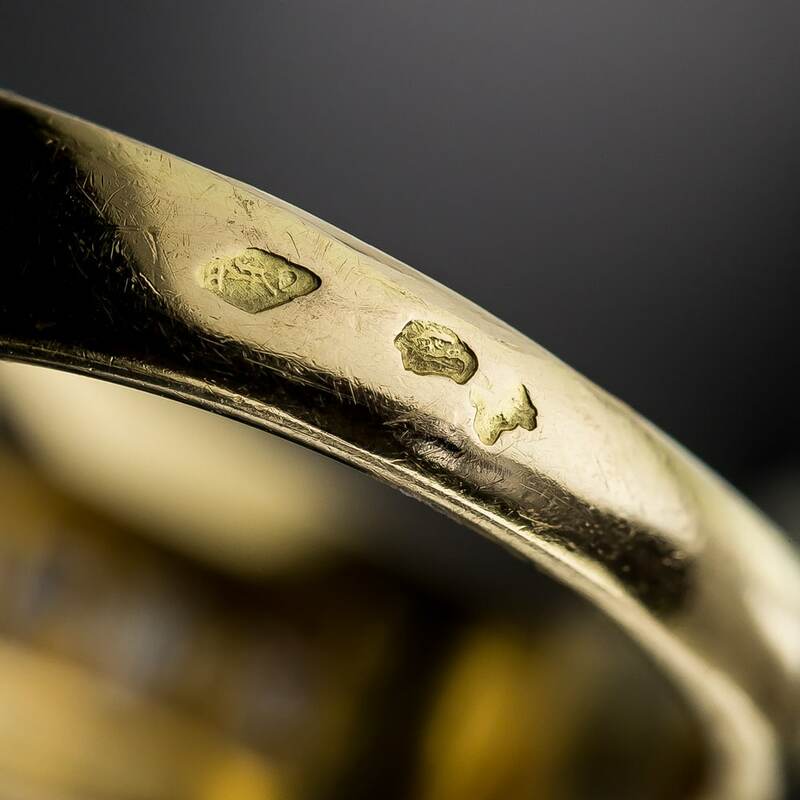 Combinations of hallmarks can indicate mixed metals on a piece and their position relative to each other can indicate the proportion of each metal present. Other combinations can indicate import and export and which countries are involved. Hallmark designs evolve over time. 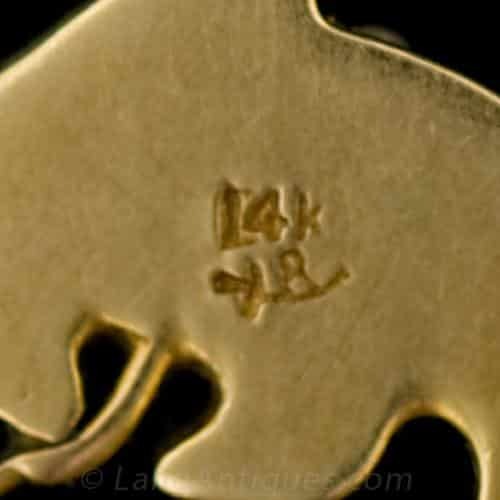 Sometimes these changes are very subtle and observing such nuances can be critical in pinpointing the time the stamp was placed on the item, other changes can be dramatic resulting in an entirely different mark. A good place to start is the pictorial index or appendix of the marks usually found in the back of the hallmark reference book. The images are usually arranged by subject matter: Faces, Birds, Animals, Insects, Geometric Shapes, Numbers, Letters, Crowns, Shields, Stars, etc. 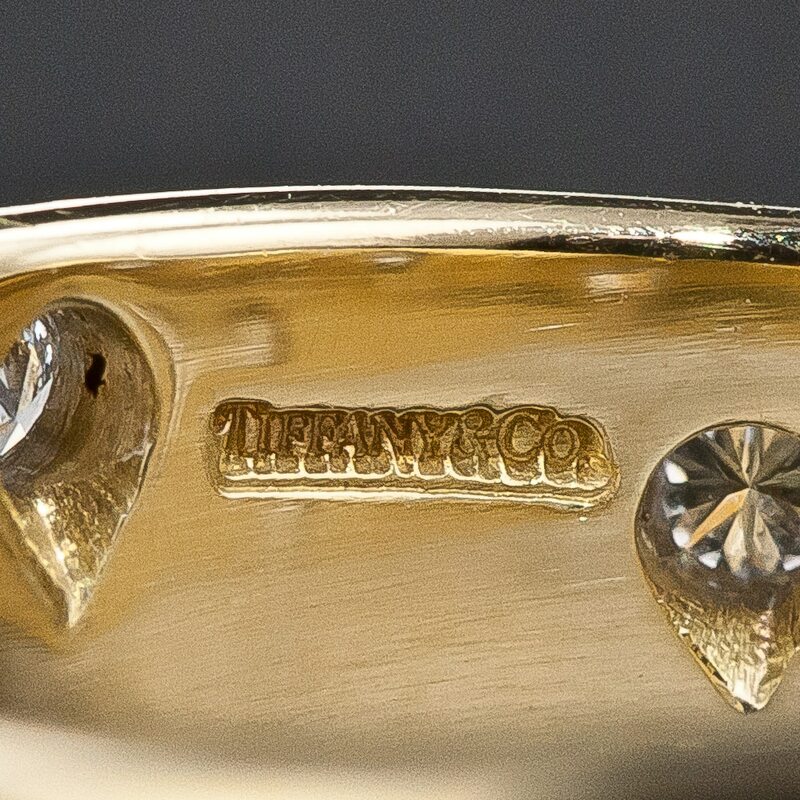 Web-sites devoted to researching jewelry marks may also be organized by image, but not always. Once you have a close match for your mark with an image in the index, you can proceed to the page indicated to refine your search. The main body of most hallmark reference books will be arranged by country. 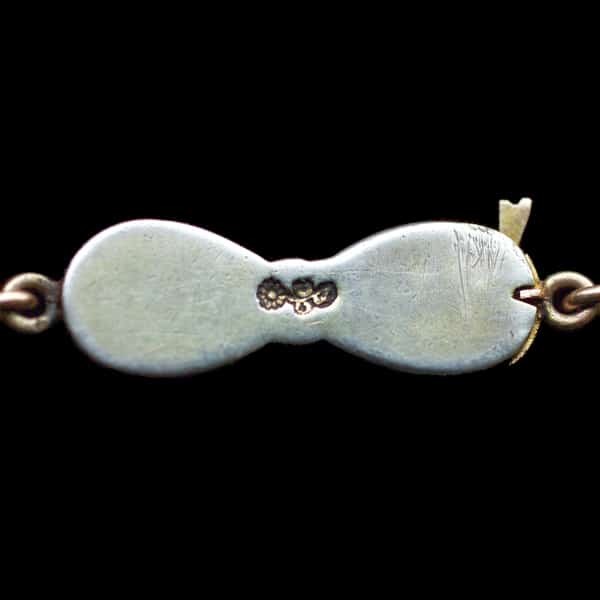 French Boar’s Head Hallmark Indicating .800 Silver Minimum Fineness, 1838-1962. Once the index has pointed to the proper page, the information contained there will help pinpoint the country and other possible data such as approximate date, city and metal fineness. If the country has a long history using marks, there will be further illustrations of the progression or evolution of the mark that may further refine your search. Maker’s marks reference books and internet sites are also available for furthering a jewelry investigation. A library of reference materials on maker’s marks would include a variety of types of jewelry books. Locating a match for a maker’s mark is much more intimidating. Knowing the time period and region of manufacture (i.e. 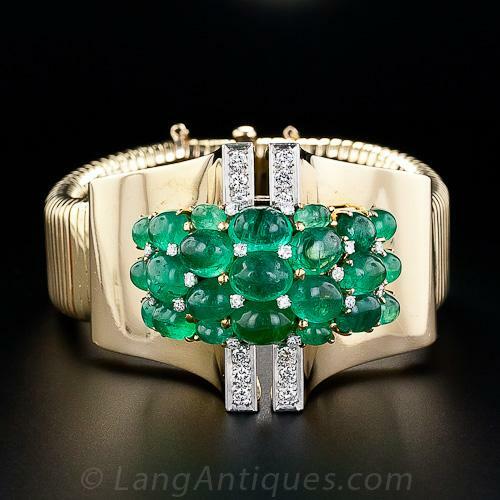 French, Art Deco) will help pinpoint where to begin searching for a match to the mark in question. 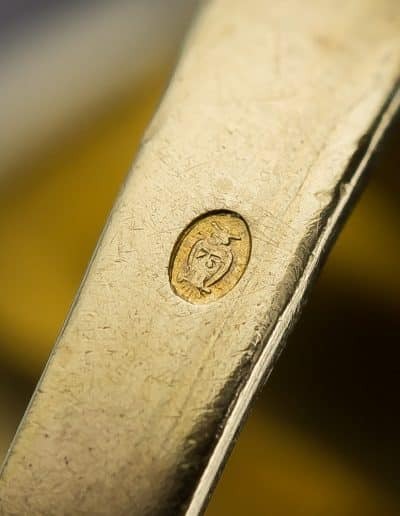 Organization of maker’s marks can be by country, era, alphabet, type of jewelry and just about any other system that the author might see fit to devise. 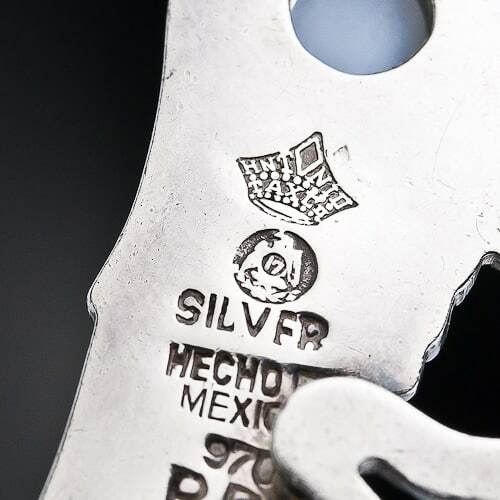 There are whole books devoted to particular segments of maker’s marks such as American, Mexican, and English but often maker’s marks are included as an appendix in books on jewelry history, or they can be included in chapters or segments about individual jewelers. 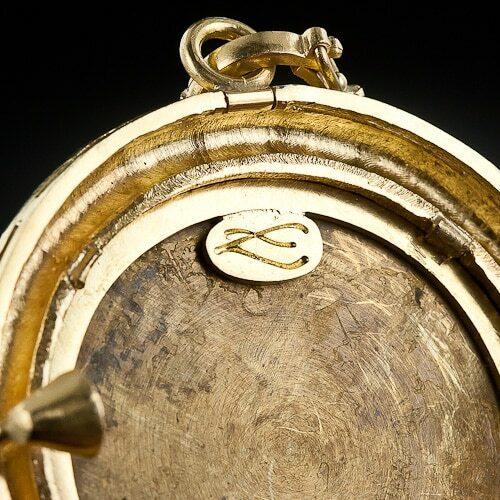 The reference materials on maker’s marks do not begin to cover the astronomical number of artisans and companies making jewelry throughout history. 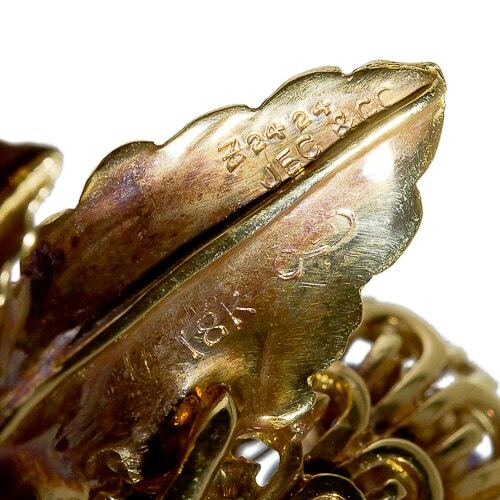 Collectors, catalogers, and jewelry historians painstakingly research these marks and develop a personal “collection” accumulated over years of jewelry investigations. Unfortunately, the answer to “who made this?” may never be found. English Goldsmiths and their Marks: A History of the Goldsmiths and Plateworkers of England, Scotland, and Ireland. Charles J. Jackson. New York, NY: Dover Publications, Inc. (1921) 1964. ISBN 978-0486212067. The Keystone Jewelry Trade Mark Book, 1934 Edition. Reprinted: Lima, OH: Golden Era Publications. 1990. Trade-Marks of the Jewelry and Kindred Trades, Sixth Edition 1950. JCK. New York, NY: The Jewelers’ Circular-Keystone, 1950.